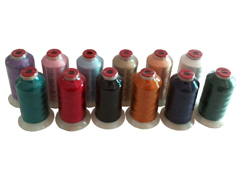 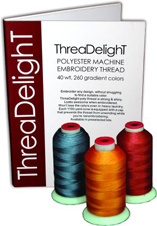 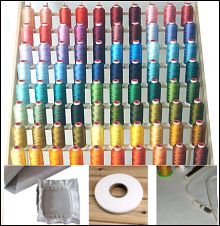 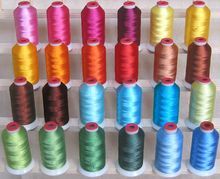 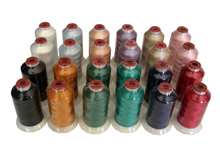 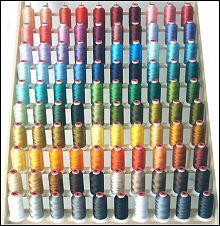 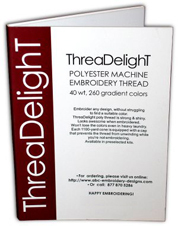 ThreaDelight™ polyester embroidery threads are great for home and commercial embroidery machines. 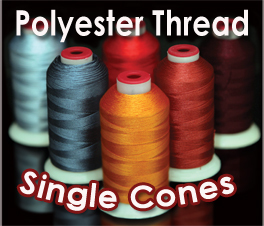 Cones are available in two sizes: 1100 yards and 5500 yards. 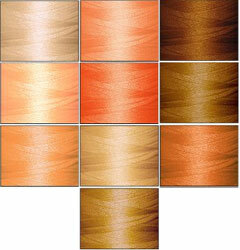 Can be purchased in preset kits as well as individually. 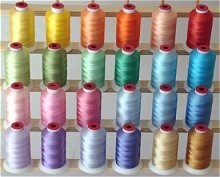 As low as $1.19 Purchase 50 to 99 cones, save 15%. 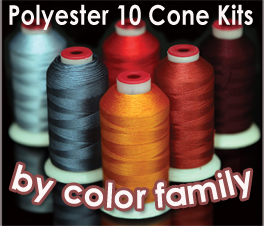 10 cone kits of 1100 yard cones of ThreaDelight threads united by color family.